Artists: Justin Gray and Phil Noto (Trigger Girl 6) and Kevin Mellon (American Muscle). 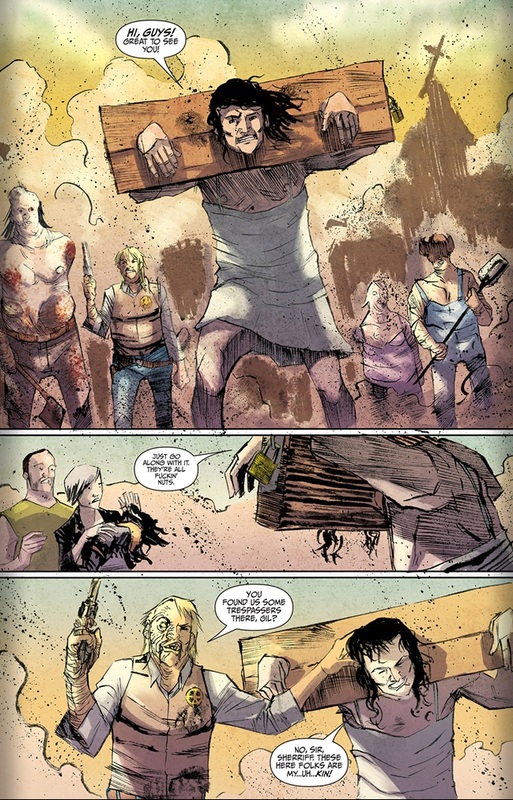 Both of the original stories in Creator Owned Heroes have great installments this issue. 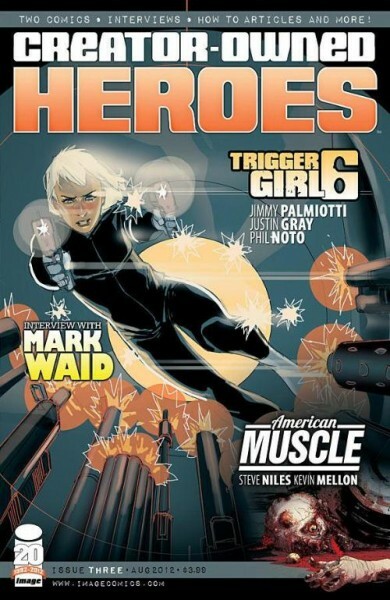 We also have a good self interview with Phil Noto (kind of like the Locus interviews), whose art on Trigger Girl 6 has been nothing short of astounding, and a not so satisfying interview with Mark Waid, where Jimmy Palmiotti doesn’t ask him anything about his outstanding “Irredeemable” run. Is it because its from a competing company? But back to the creator owned stories Trigger Girl 6 and the mutant sorta like zombie apocalypse tale “American Muscle”. Both had good “episodes” so to speak. Here’s a taste of Trigger Girl Six and its magnificent artwork by Phil Noto. 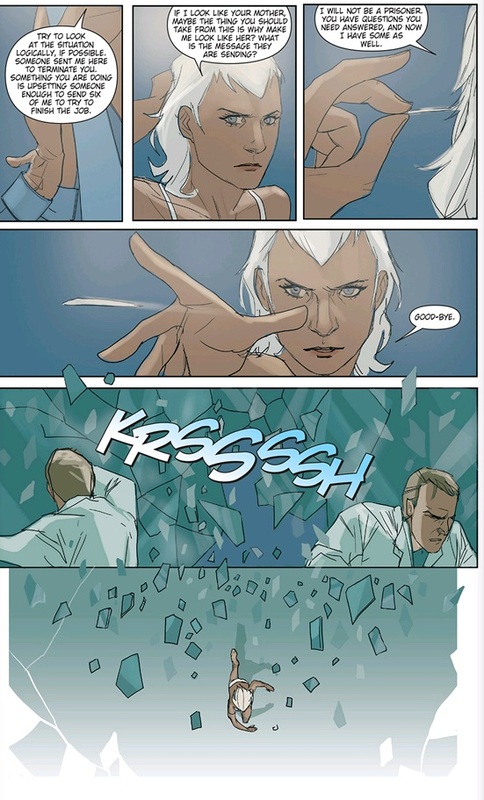 Here’s the page where she escapes by pulling what looks to be a blonde shard from her hair and throwing it like a projectile. We also learn a little bit more about the very cool world of Trigger Girl 6. She has all kinds of weapons, even without her clothes. The president is in his seventh year or his second term. We have no idea if he’s a republican or a democrat so I guess that doesn’t really matter. Can you tell that this was written by an American writer? She also has some kind of homing device implanted within her. She can find home. This particular story arc ends next issue. 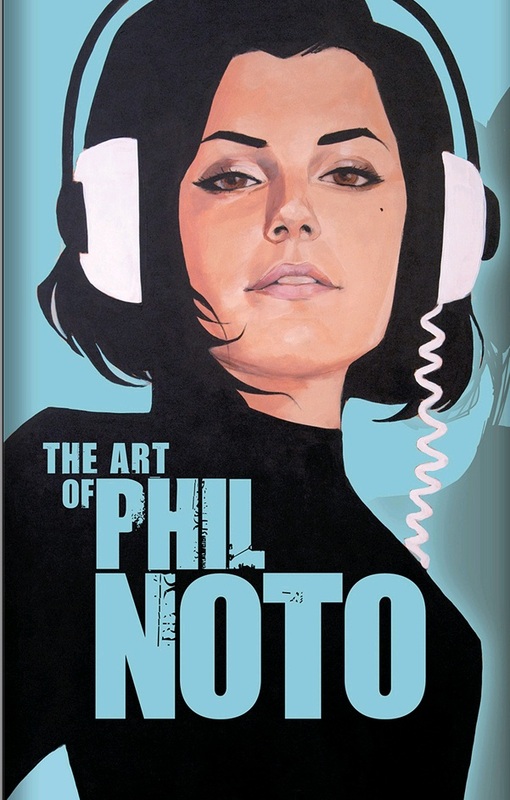 Remember: this woman is based on a live model so the artist Phil Noto is living a better life than you. It’s actually kind of funny. Enjoyable. This particular arc ends next issue as well. Well, after looking at Phil’s incredible artwork I definitely want to check out all these artists. Overall, the issue with the best comics by far. I wish the interview with Mark Waid had some information about what I heard was an “Irredeemable” motion comic. Not good Jimmy, although great work on “Trigger Girl 6”. 4.1 out of 5 stars.